I was selected among the people that will participate in the inclass training in Kaduna State. During the training, I had the privilege to learn under seasoned teachers and business inclined personal who have the interest of the Nigerian youths at heart. I learnt a lot in business and entrepreneurship like writing a good business plan and most especially pitching to investors. There is one thing I took away from this prestigious training which is the strong network I was able to create with other participants and our business anchors/teachers. Five participants around the Northern region were given the opportunity to pitch to some judges and I emerged as the Overall Best in the pitching competition. I was given a certificate and a prize as overall best business idea in the North-west region. 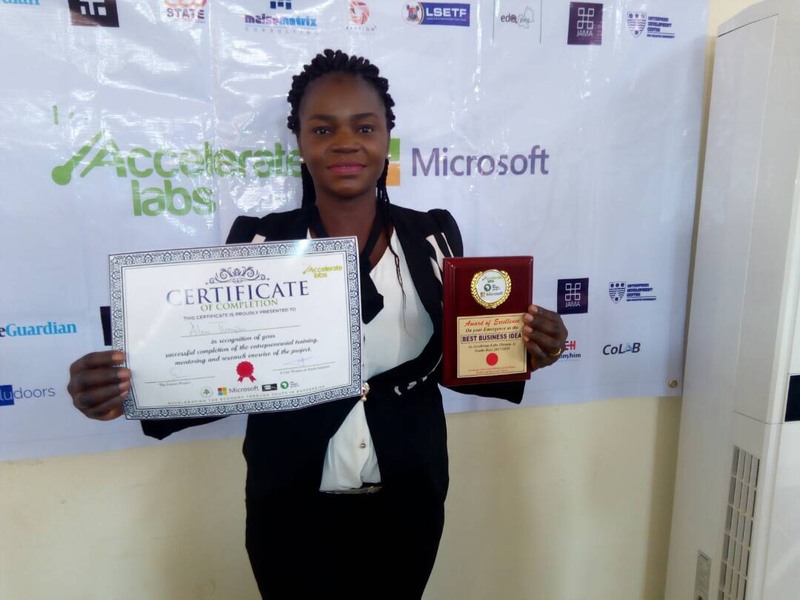 I want to say that this training platform by the Accelerate Labs venture is a welcome business development program that will help build the Nigerian youth to be self reliant and productive especially in the times of economic recession in the country. I want to say thank you Accelerate Labs for making me discover hidden business potentials which I am using right now to scale my business. My business has improved and our profit margin has increased by 15%.